With 385bhp and 520Nm on-board, the 2019 Mercedes-AMG C 43 Coupe will bridge the performance gap between regular C-Class and the full-blown C 63 AMG. 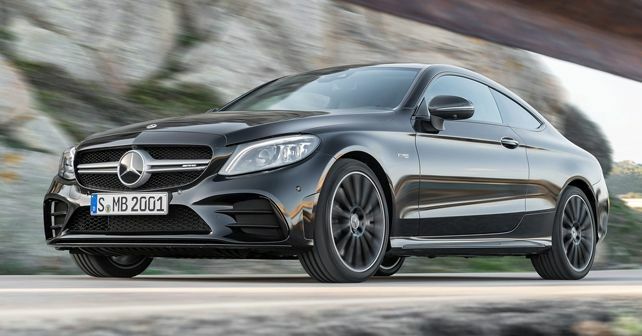 Come March 14, 2019, Mercedes-AMG will bring the C 43 Coupe to the India shores. For the uninitiated, the two-door vehicle is a performance-derivative of the C-Class, but not a full-blown AMG model. In fact, it’s a nice middle-ground between your regular C-Class sedan variants and the utterly bonkers C 63 AMG. In the design department, the C43 Coupe features mild updates just like the face-lifted C-Class, which was launched here in 2018. However, since this is an AMG model, it obviously comes with sporty bits such as bigger alloy wheels, a more muscular stance, and a sharp body kit. Other changes include new tail-lamps and quad-exhaust tail-pipes. And, of course, it’s a two-door model, which makes it a wee-bit more unique and appealing – something that an AMG ought to be. Inside, it gets the updated interior like the new C-Class, but the cabin is peppered with usual AMG bits and bobs – a sporty steering wheel, AMG badges, and sport seats. Powering the C 43 AMG is a 3.0-litre twin-turbo V6 petrol motor that churns out 385bhp of peak power output and 520Nm of torque. The drive from the six-cylinders goes to all-four wheels via a 9-speed automatic gearbox. Sure, it’s not going to translate into any kind of road-ripping performance, but then it will do 0-100km/h in 4.7 seconds, which is quite quick! Top speed will be limited to 250km/h. The new Mercedes-AMG C 43 AMG is expected to be priced between Rs 75 – 80 lakh (ex-showroom) in India. It may not have a direct rival upon its launch here, but the Audi S5 Sportback comes close to being a worthy competitor.